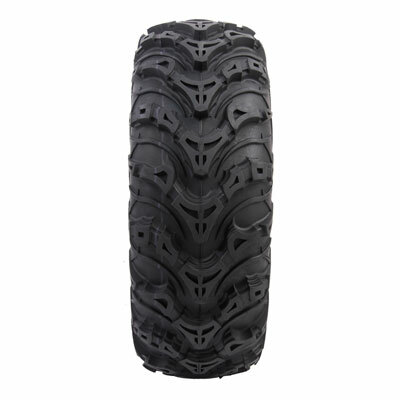 Looking for a new set of mud tires for your ATV? The Mud Force tires are one of the most affordable options out there! The mud foce tires perform very well in the mud with their spaced out 3/4 inch deep lugs. You'll also enjoy the excellent quality that comes with the 6 ply rating. These tires are an excellent value. You get a lot of tire for your money with the Tusk Mud Force. - Our Mud Force tires generally ship out within 1 business day! - Spaced lug pattern for muddy conditions. - Affordable tire with one of the most popular tread patterns for mud riding. 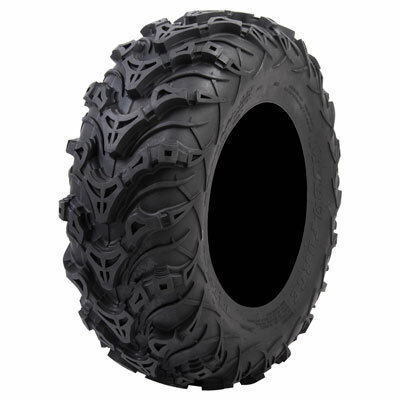 I ordered 2 of these tires to replace the front tires on my Dads Polaris Ranger. This was my first time ordering from Pureoffroad. The tires are outstanding and a great value. 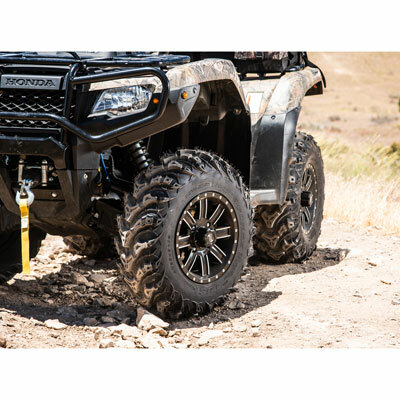 They handle well in multiple situations and terrain from rocky hardpack to soft sand. The tires have a deep chevron tread that wraps around the sidewall for extra protection. I was really impressed with the fast free shipping from Pureoffroad. Going forward, I will be ordering all of my ATV tires from Pureoffroad. I only got the front for my four wheeler and you can feel it bite into the ground when you drive it. I took it out in the snow and with just the front tires doing most of the work in the snow I was able to drive through a foot of snow with ease and poll my kids on a sled.